Vern C. Kozlen was Executive Vice President and Director of Asset Management Affiliates for City National Bank. He was responsible for managing the company's relationships with affiliated, external investment management firms and other noninterest-income-oriented products, as well as the acquisition of asset management businesses. Mr. Kozlen also served as a member of the bank's Executive Committee. Mr. Kozlen is currently Chairman of the Board of Trustees of the CNRochdale Mutual Funds. Mr. Kozlen joined City National in 1996, and was also Director of the bank's investment management, trust and securities brokerage division. Previously, Mr. Kozlen held several management positions at First Interstate Bank of California and its subsidiaries. He served as Executive Vice President of the bank, President and Director of First Interstate Securities Lending Services, Inc., and Director of First Interstate Investment Services, Inc. Mr. Kozlen joined First Interstate in 1985 as manager of the trust division. From 1974 to 1985, Mr. Kozlen served in management positions at Wells Fargo Bank, and was responsible for many of Wells Fargo's trust and investment programs. He also worked at Beverly Hills National Bank, and began his career in 1967 at Bank of America. 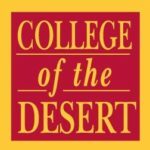 Active in his community, Mr. Kozlen is a member of the Board of Directors of the College of the Desert Foundation, and the Desert ARC. Mr. Kozlen was Chairman of the Board of the American Heart Association, western states affiliate, Los Angeles chapter. He also served as a member and chairman of many committees of the American Bankers Association, and other professional organizations. Additionally, Mr. Kozlen has been a speaker and moderator of many programs on investment management and trust strategies. He was Chairman of the City of Rancho Mirage, CA, Planning Commission, Vice-Chairman of the Board of the Successor Redevelopment Agency of Rancho Mirage, a Board member of the Community Foundation serving Riverside and San Bernardino Counties and the Jewish Federation of the Desert Area.